One way to make a girl fall in love with you is to take her out to eat. 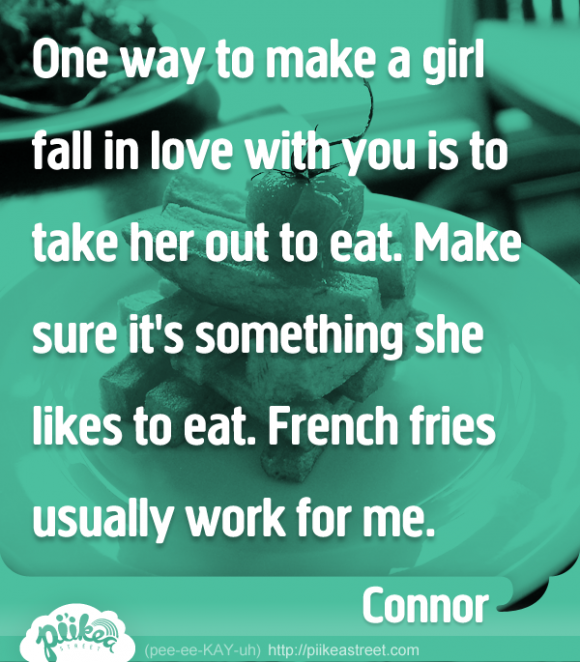 French fries usually works for me. | Pi'ikea St.